Google Apps customers are finding it hard to delete and reactivate domains in their accounts, after Google unexpectedly disabled the automated mechanism for performing these tasks in mid-January. Requests for deleting and re-adding domains soon started piling up, causing trouble for Apps administrators who as a result ran into a variety of issues, including lack of access to users’ email accounts. Eventually, Google resorted to a manual process for handling these requests, asking affected administrators to report their domains in a designated thread in the official Apps discussion forum, where they’re then added to a queue to be dealt with manually. He added that it would take two weeks for domains to be deleted, and that Google would post an update on the thread once the mechanism was reactivated. However, there has been no update yet, and the automated mechanism remains shut down. Apps administrators delete domains for various reasons, including with the intention to reactivate them right away as a sub-domain or alias to a different primary domain. Having the process stuck in limbo for days or weeks can disrupt email communications and other business operations people use Apps for. “I’m seeing that you said this would be off ‘a couple weeks’ more than a month and a half ago. Have this issue been resolved? Is the auto-delete still not functioning? I am trying to create a google apps for education account and, I gotta tell you, this situation—both the problem with not being able to register a previously deleted domain, coupled with the inability to get support—is not exactly building my confidence in google apps as a service that I want to entrust with my staff and students’ e-communications needs,” a user identified as “CMcIlroy” wrote on Feb. 27. In addition to the main discussion thread, there are multiple others where Apps administrators are reporting this issue, with most of those threads active currently. 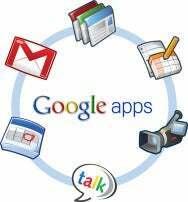 Some users have remarked that Google could be doing a better job of notifying Apps administrators about this issue. For example, the problem doesn’t yet seem to have been added to the Apps Known Issues list.